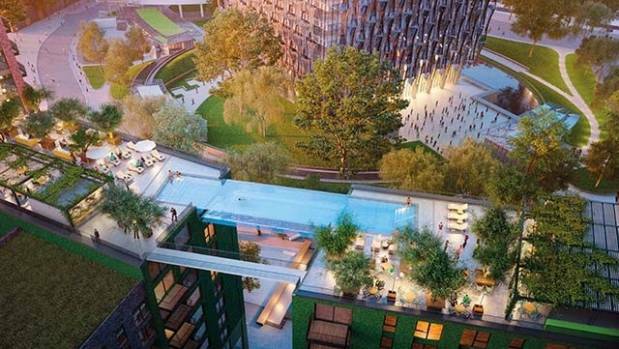 Floating from rooftop to rooftop at the Embassy Gardens in Battersea, London - the first apartments have come on the market. Battersea in London is known for several things, notably a power station and a dog's home. Now it's about to be recognised for the first sky pool 'bridge', which is between two apartment buildings and is considered a world first. 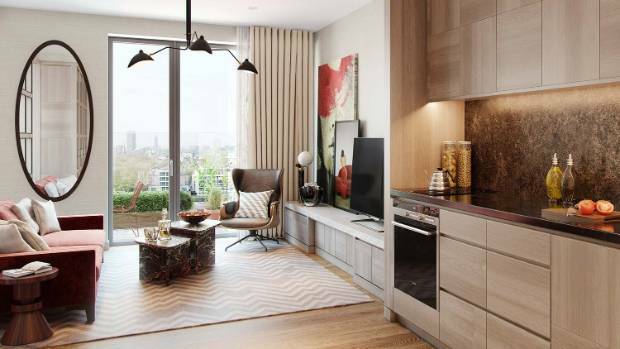 Although not fully completed, the new Battersea project is back in the public eye this week as the first flats in the Embassy Gardens development come on the market. Not only do the residents get to overlook the magnificent pool, as the name suggests the flats are also right next to the US Embassy in London. The 2000-home Embassy Gardens complex is in Nine Elms, a new riverside district that wraps right around the former Battersea Power Station. This artist's impression is vaguely disturbing. The development is by EcoWorld Ballymore, which is also developing the London City Island project, dubbed East London's Mini Manhattan. The Embassy Gardens development is in Nine Elms, the new riverside district that wraps around the former Battersea Power Station. 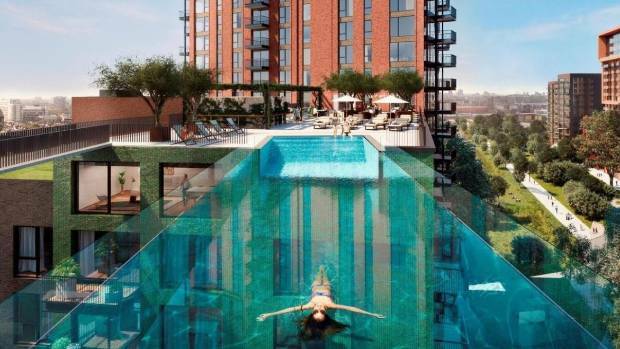 But it's the fully transparent 20cm-thick glass pool that will be turning heads. The pool measures 7.5m long by 5.8m wide and is 3m deep, with a water depth of 1.2m. 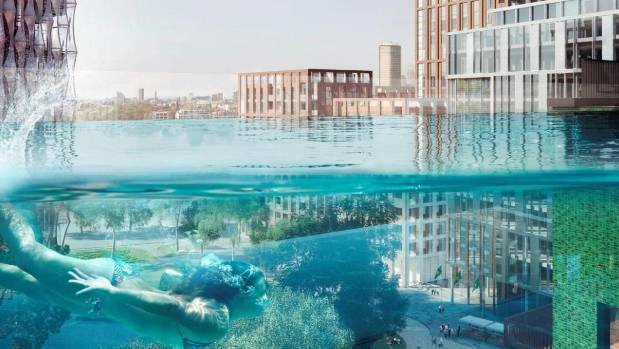 Residents enjoying a swim will have spectacular views of London, which will include the Palace of Westminster and the London Eye. 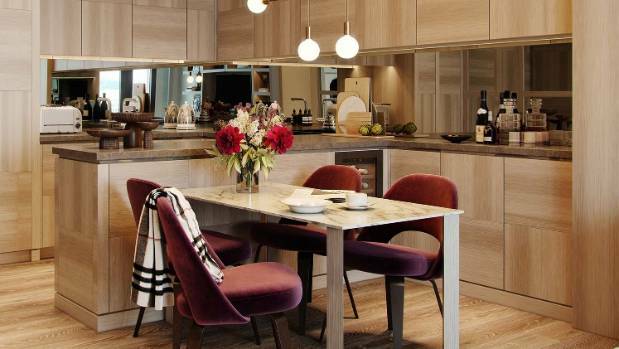 The new apartments are equally impressive, and are priced from £1 million (NZ$1.8 million). Residents can enjoy high-end interiors, with lots of marble, oak and granite. 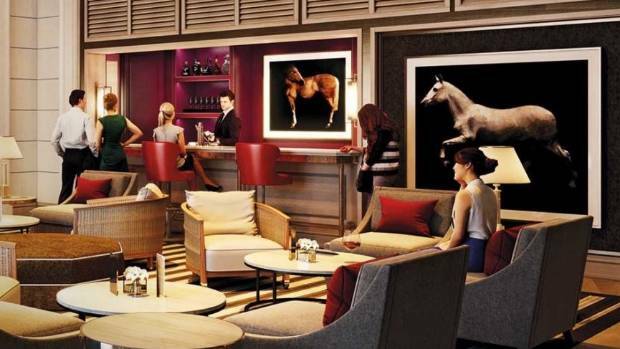 They also get to share rooftop sun terraces, a spa, summer bar, orangery, gym, cinema and "exclusive" club membership. Swimming through the city at night will be a whole new experience. Residents are expected to move in by autumn 2018. Club facilities for member-residents are just as high-end as the apartment interiors. Apartment interiors are contemporary, with sleek timber cabinets. Attractive kitchens are par for the course in a million-pound apartment. Residents also get to enjoy rooftop sun terraces. 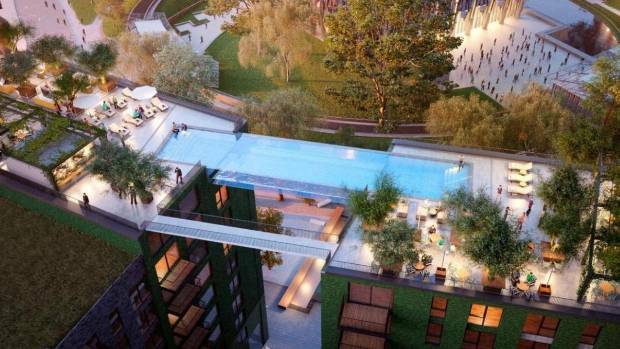 the first sky pool 'bridge', which is between two apartment buildings and is considered a world first. 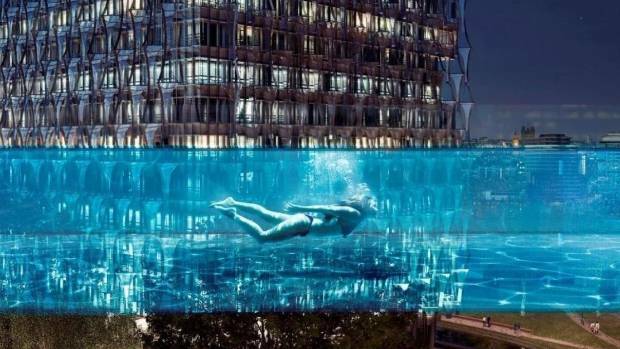 it's the fully transparent 20cm-thick glass pool that will be turning heads. The pool measures 7.5m long by 5.8m wide and is 3m deep, with a water depth of 1.2m.
. They also get to share rooftop sun terraces, a spa, summer bar, orangery, gym, cinema and "exclusive" club membership.